The story goes that Walter was a minister who came from St. Aidan’s Church in West Herrington, England to Canada. I haven’t found anything to confirm that yet; what I have found is that Walter was born in Brighton in 1884 and lived in Croydon. His father was a boot-maker, Walter was his only son and an only brother to three sisters. He sailed to Canada in Sept, 1910 soon after the two original Anglican mission groups were raised for Western Canada. At that time, Walter wasn’t a clergyman; he was a layman and listed himself as a student on the ship’s register. I think the Gillespie’s were his family away from home in this new country. As he travelled West to his Mission House in Southern Alberta, Walter regularly sent the Harold and his brothers letters and picture postcards full of brotherly concern and encouragement. In one card, he was glad to hear that Harold had returned to school after the harvest to continue his studies; he reminisced about the fun they had had skating the previous winter and hoped they could do it again someday, he mentioned his best suit had gone missing and that he was travelling on a stubborn horse. In another, he tells Harold he’s keen to hear of his mother’s travels but won’t be able to meet up with her on her return journey from British Columbia, he is simply too far away from the railway. He promises to write again next month. 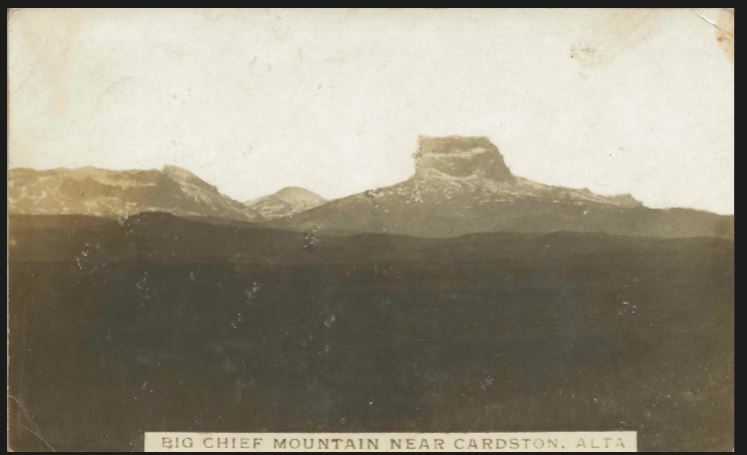 The photo on one card shows a dusty, one-street frontier town and on another, a flat-topped mountain. 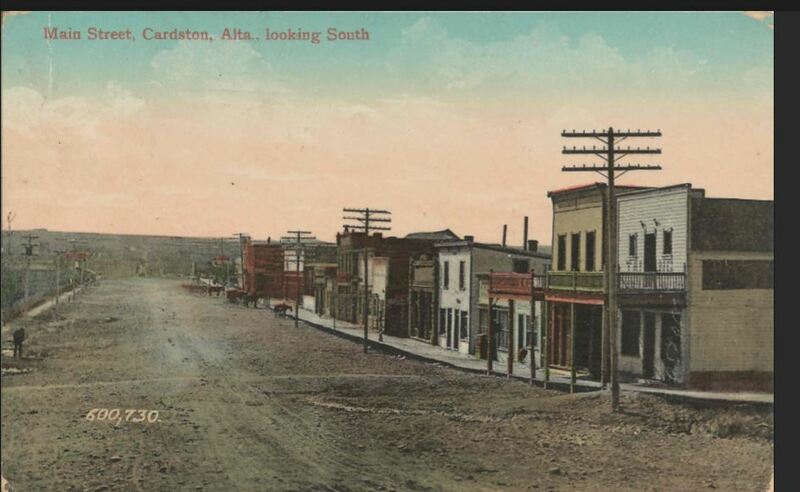 Both postcards came from Cardston, Alberta. 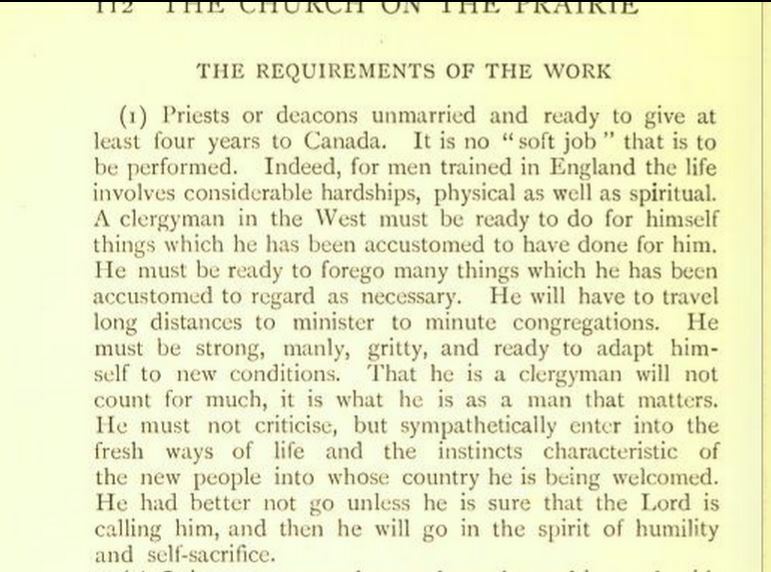 It’s fascinating to read some of the handbooks these missionaries were given to prepare them for their life in the West. They pulled no punches — it was going to be a tough job. It is even more fascinating when you discover an actual photo. After months of searching through archives and local histories online, I find Walter T H Cripps in a digital collection from the Glenbow Museum Archives. Remarks: Back Row: Extreme left: Canon S.H. Middleton. 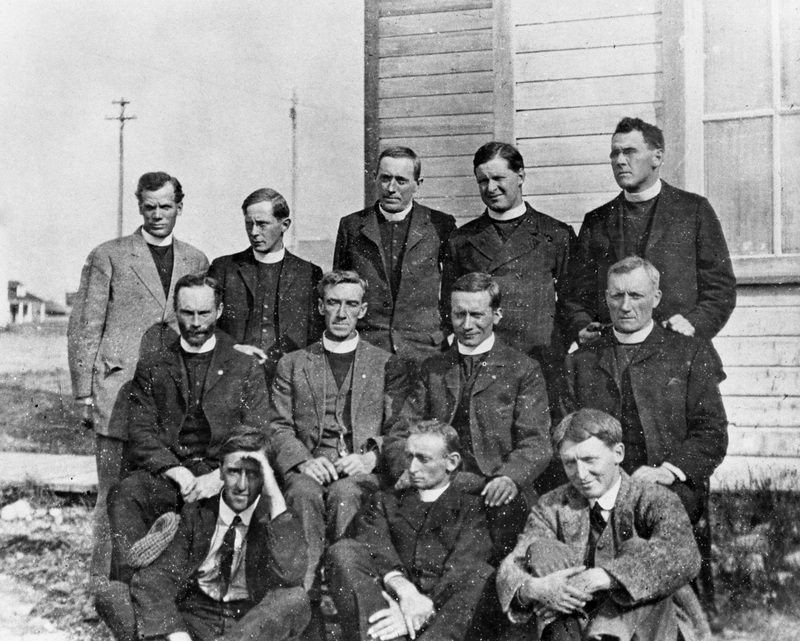 Middle row, second: Rev Canon Mowat, Front Row: (hand to eyes), Mr. Cripps. [Used in conjunction with script of talk on Anglican missions in Western Canada. There he is in the front row. This friend of grandfather’s, this man who will change the course of our family history. He sits cross-legged on the grass, looking inquisitive, perhaps a little uncertain, one elbow propped on his knee, his hand shading his eyes so he can meet the camera’s lens. All the other clergymen squint into the sun, their lips pursed, brows wrinkled; serious and somewhat pained. The men are positioned at the front corner of a rough timber building. In the background, there is a wide dirt road; one commercial building peeks over the shoulder of a young clergyman, two telephone poles rise up and out of the frame. Everything is still so new. There is no indication if this was a special occasion or a regular quarterly get-together. It may have been taken for fund-raising purposes (it was later included in a lantern show to raise funds). Whatever the reason for the photo, Walter was remembered by someone in the community. They identified him in the photo, recorded it in the archives, what extraordinary luck. 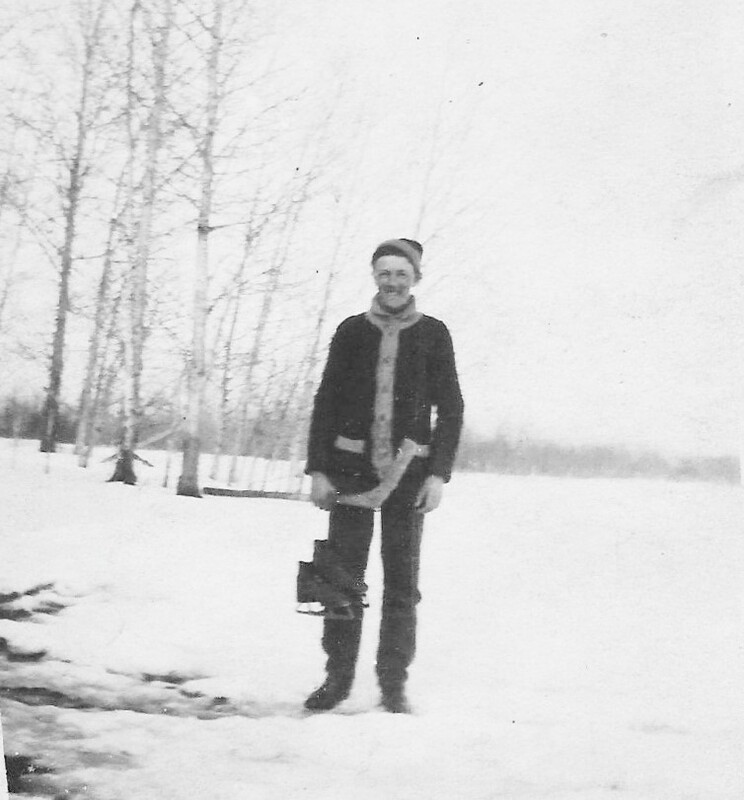 This entry was posted in Historical Perspective and tagged Alberta, Anglican Church, Archbishop's Western Canada Fund, Cardston, grandfather, missionaries, pioneer, pioneers, religion, Swan River Valley, travel, Walter Cripps, winter on June 21, 2015 by Catherine Hainstock. At this point in the story, I ran into some confusion in local histories and historical sketches about just how far the Northern railway went. One version put the end of the line at Cowan, MB. From there settlers had to buy wagons, stack them with all that was precious, and battle their way along the steep ridge of the mountain before descending into miles of muskeg. Settlers had to ford four or five rivers to get to their land claims, and fend off plagues of mosquitoes so thick that one old-timer told of a night when the livestock’s moaning sounded like human beings in agony and the humans took refuge in their tents and under wagons with blankets tacked tightly all around to keep the clouds of insects out. 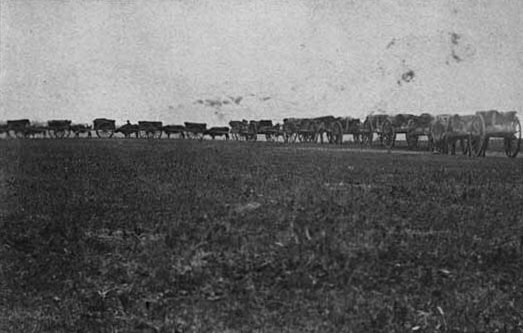 Other local authorities said the train line was built all the way through to the Swan River Valley by the summer of 1900. The trip from there to their section (Section 29) would still have taken days. Local histories agree on one thing — the land was surveyed but there were no roads or trails or bridges. And all through the valley there was thick scrub, lots of creeks, rivers, boggy spots, and miles and miles and miles. As much as the first version and the romance of covered wagons on long trails appeals to the adventure story-lover in me, I hope for their sake the train did carry them all the way to the Valley so that the trail ride was short. NOTE: Great Grandfather’s land grant is dated 23 June 1903 so I am assuming they settled in June 1900. As I am putting this post together, I receive an email from Nonni who is a local historian. Along with the dated photo of the first train to arrive in Swan River, he helps shed some light on my confusion about when Gillespies settled n the valley. He tells me that many who wanted to claim land didn’t wait for the train to come through to Swan River. It they had waited for the extension to be constructed, they would have missed out. He’s found some historical evidence that William Gillespie applied for his claim on Oct 2, 1899 eight days before the first train arrived in Swan River and suggests that Harold’s father maybe came alone to apply then returned with his family the following year (as many others did). Nonni also sends an unexpected surprise – a weblink about the Cowan trail and news that the local community has restored a section and celebrate with a trail ride every summer. This entry was posted in Historical Perspective and tagged covered wagon, muskeg, pioneers, settlers, trails, travel on May 5, 2015 by Catherine Hainstock.